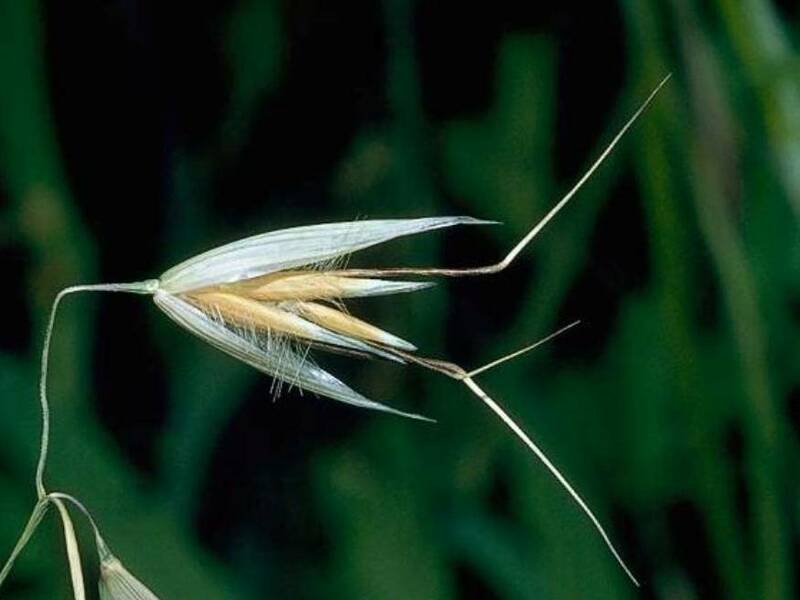 Avena fatua (wild oat) is a winter annual grass (family Poaceae) that is a common agricultural weed. It grows in most grassland sites within the state, particularly in sandy/poor soils, often on the road verges. It is one of the annual grasses that was introduced as a forage species and has replaced the native perennial grasses.